Subject: Investing in Water Stocks: Profit from the New "Water Market"
Investing in Water Stocks: Profit from the New "Water Market"
Investing in water stocks is about to become one of the hottest trends in 2012. That's because the days of easy access to cheap commodities are drawing rapidly to a close. In the coming years, the prices of commodities are going to skyrocket - thanks to exponential growth. Exponential growth in the Earth's population - over seven billion people and counting - means that all of the planet's finite resources are going to have to stretch farther to feed and fuel even more people. 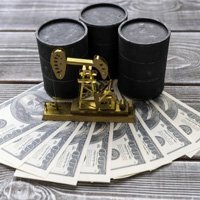 Everything from oil and gas to corn, wheat, potash, rare earth metals, timber - everything - is going to be harder to come by, and more expensive to procure. We're also seeing similar growth in the population of the world's middle class, which means a rise in demand for everything a middle class existence entails, including meat (which requires more feed and processing - which means oil - to bring to the table), smartphones, cars, flat screen televisions, and everything else that we in the West enjoy, and even take for granted. Population Growth Creates a New "Water Market"
In places like China, India, and Latin America, where the burgeoning middle class is set to explode in the coming years, water use is already on the rise. In the United States each person uses around 150 gallons of water per day, compared with around 20 gallons per day in emerging economies. But global water usage is surging. What we take for granted in the West is in many cases just becoming the standard in many emerging markets around the world. In fact, China and India already have the two largest water footprints (a broad measurement that aims to quantify global water use and consumption) of any country on the planet. And they're about to get even bigger as their consumption of commodities - water included - skyrockets.